Tasmanian Boat Charters is a family owned & operated business which has been operating since 1998. Pieter van der Woude, a long time lover of Tasmania’s coastline, its waters and the treasures it holds, established the business so as to be able to share Tasmania’s coastal wilderness with like-minded explorers. From 1998 to 2014, charters were operated from the original vessel, also called the Odalisque. This vessel was primarily used as an abalone diving mother ship, however it was also used for tailored charters. It was the desire to create an experience which would allow people to experience Tasmania’s remote & pristine South West coastline, an area inaccessible to many, which inspired Pieter to have the current Odalisque built. The 20m vessel was custom-made to cruise Tasmania’s coastline and we take great joy in discovering with our guests what we see as one of the most unique & special places in the world. The skipper and owner, Pieter van der Woude, has had a lifetime of experience around the coastline of Tasmania, including 25 years as an abalone diver, and has acquired an intimate knowledge of our secret, untouched rivers and bays. With 12 years in the Tasmanian Police Force, Pieter was heavily involved in Diving, Search and Rescue, and marine sections, obtaining his Master 5 Cert. During the off season, Pieter is employed by the Australian Antarctic Division where his boating skills are used to unload and load the RV Aurora during re-supply operations of the various Antarctic bases and Southern Ocean Islands, including Macquarie Island. His experience and passion for the waters and marine life has made him the perfect skipper for guests wanting to explore the remote Tasmanian Southwest and Southern Ocean waters. 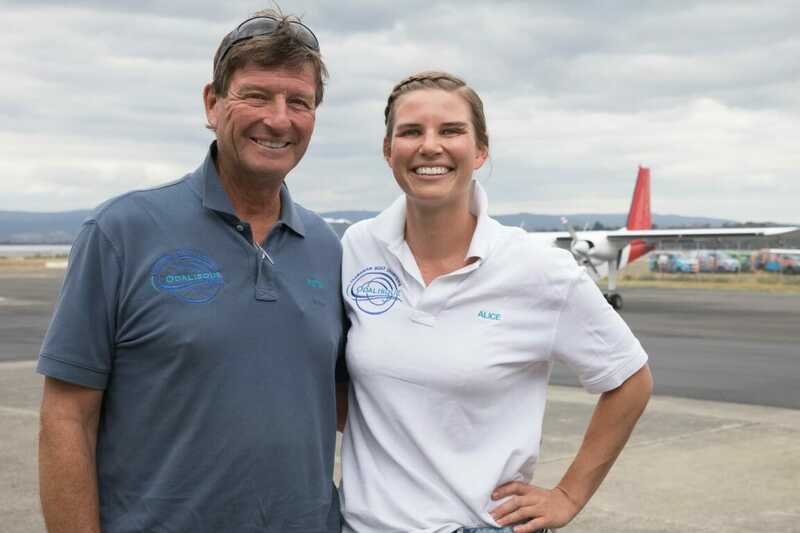 Alice is our passionate, innovative and attentive manager here at Tasmanian Boat Charters. She’s enthusiastic about sharing such a special part of world with people looking to explore Tasmania’s coastal wilderness. After studying law & business at the University of Tasmania, we lost her to Sydney for a brief time before she ‘saw the light’ and returned to Hobart, where she loves working in a small, family business. Alice has extensive experience in marketing, advertising and guest services. Growing up in Hobart, she has enjoyed many adventures into the Tasmanian wilderness on both land and water based holidays. When she’s not organising cruises on the water, she’s underwater, playing underwater hockey. If you have any questions about anything at all, Alice is your go-to-girl. She can be reached via the Contact Us page. Alice recently featured in Tailored Tasmania 2, the guide book for exploring Tasmania like a local. Read the article here. Expert local guides, present on all of our overnight cruises, will enrich your wilderness experience with their extensive knowledge of the landforms, geology, animals, birds and cultural history of the region. Amongst our guiding team we can name biologists, conservationists, writers, wildlife experts, ecological educators and ex-Parks & Wildlife employees (including the most recent General Manager), who combined have over 100 years of experience in the Tasmanian wilderness. This team’s knowledge, passion and experience will complete this expedition as a comprehensive (and entertaining!) wilderness experience. Meet the guiding team. Click here. Tasmanian Boat Charters is a proud sponsor of the Raptor and Wildlife Refuge Tasmania. 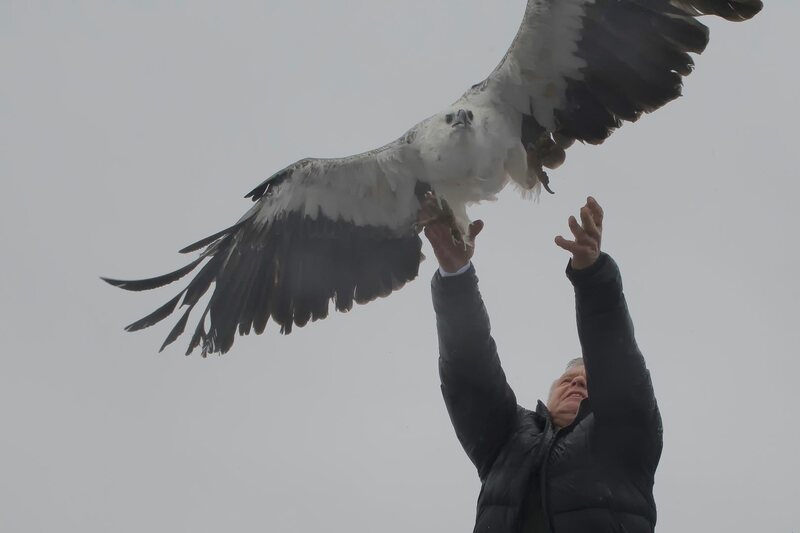 Pieter van der Woude, owner of Tasmanian Boat Charters and skipper of Odalisque, has long been an admirer of raptors and is a staunch supporter of projects advocating for their protection and rehabilitation. The team at the Raptor Refuge, lead by Craig Webb, do an amazing job at rehabilitating injured birds and releasing them back into the wild. Tasmanian Boat Charters’ guests are almost guaranteed to spy sea eagles and wedge-tailed eagles on our expeditions into the remote and pristine wilderness of Port Davey. “We see eagles as part of our story,” Pieter says. “Down at Port Davey, we always point them out to guests.” We also regularly spot raptors on our charters to Bruny Island, Tasman Peninsula and many other parts of Tasmania’s stunning coastline. It is so important to us that we continue to see these creatures in the wild, which is why we support the incredible work of the Raptor Refuge. In August 2017, Tasmanian Boat Charters raised $2,200 for the Raptor Refuge on a special Raptor Release Cruise. 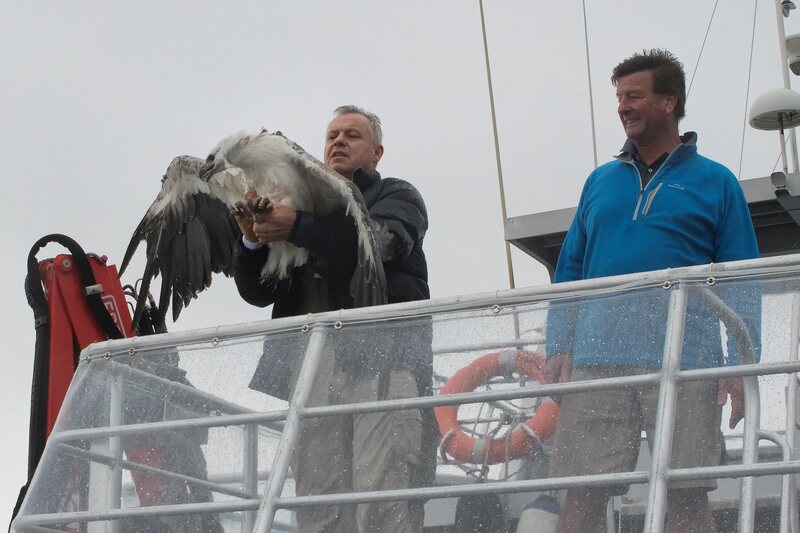 A white-bellied sea eagle injured in a collision with powerlines was released back into the wild from the top deck of the Odalisque. Learn more about this special cruise plus watch the video of this magnificent bird flying free! Click here.